The lives of two women, generations apart, converge . . . 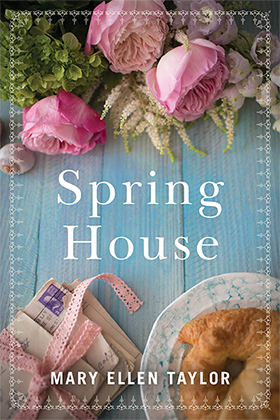 Pregnant and grieving the death of her fiancé, historian Megan Buchanan is forging ahead on her dream project when she’s hired to restore the landmark hunting lodge her great-great-grandfather built on Virginia’s Eastern Shore. 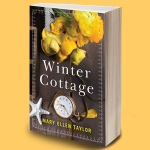 However, it’s Spring House, the lodge’s caretaker’s cottage, that most intrigues her as a newly discovered cache of old letters pulls her into the life of a young woman pursuing her own dream a century ago. Each page she unfolds sweeps Megan deeper into an enthralling world and its secrets, where she can, for awhile, forget what she herself is hiding.